La Paz is the highest capital city in the world. And while you might be struggling from the altitude, there are a number of cool and interesting things to keep yourself entertained while you’re acclimatising. 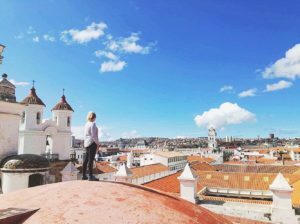 From witches markets to cholita wrestling, here are 7 awesome things to do in La Paz Bolivia. Ever wanted to watch Cholitas in traditional dress whack each other over the heads with chairs and smash each other in the faces with cakes? No? What’s wrong with you? An afternoon at the Cholita Wrestling (a WWE accredited event) should be at the top of your list of things to do in La Paz Bolivia. 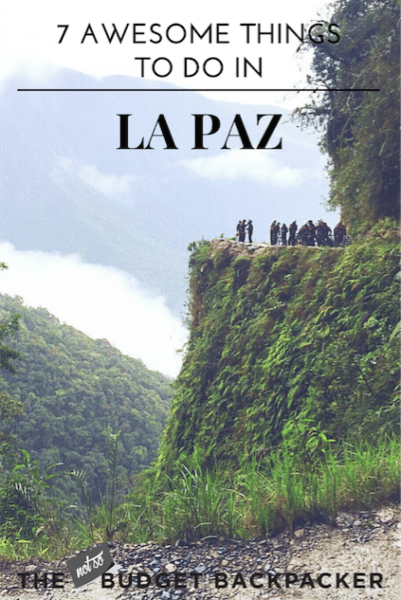 You can buy tickets through The Wild Rover La Paz for $90b (About $12 USD). I was in stitches the entire time at the over-the-top, dramatic spectacle. And the best thing about it is the locals really get into it. They all sit there yelling and screaming and throwing chicken bones at the contestants. One tip, it gets really cold inside the arena, so make sure you rug up. QUICK FACTS: COST: $12 USD | TIME NEEDED: 3 hours | GETTING THERE: Tour departs The Wild Rover Backpackers La Paz at 3pm on Tuesdays and Sundays. Ya’ll know I love a good old free walking tour. And Red Cap Free Walking Tour La Paz was no exception. The three hour tour starts outside the San Pedro prison, where you’ll hear a few horror stories about tourists getting trapped inside. It then takes you to top attractions like the fruit and vegetable market, Plaza de Armas, San Pedro Square and finishes with a free cocktail taster. All while informing you about the history and culture of La Paz and Bolivia. QUICK FACTS: COST: Free + tip | TIME NEEDED: 3 hours | GETTING THERE: Tour departs from San Pedro Square at 11am and 2pm daily. San Pedro Prison, the setting for the famous book Marching Powder is not only an absolutely fascinating place it’s one of the top attractions in La Paz Bolivia. Prisoners have to pay their way for everything from their entry to the prison, to their cell and can even own shops and businesses. It’s also the largest production facilities and suppliers of cocaine in La Paz. Crazy, right!? You can either spend an hour sitting outside the prison in San Pedro Square watching their families come and go, catching glimpses of inmates through the gates. Or you can seek out Magic Mike or Crazy Dave. Ex inmates who run an unofficial tour around the perimeter of the Prison while they tell you stories of their time there. The tours leave at 12pm and 1pm from San Pedro Square. Most likely Dave or Mike will sidle up to you if you’re hanging around the square at that time. QUICK FACTS: COST: Free + tip | TIME NEEDED: 3 hours | GETTING THERE: Head to San Pedro Square and keep an eye out for two really animated guys. 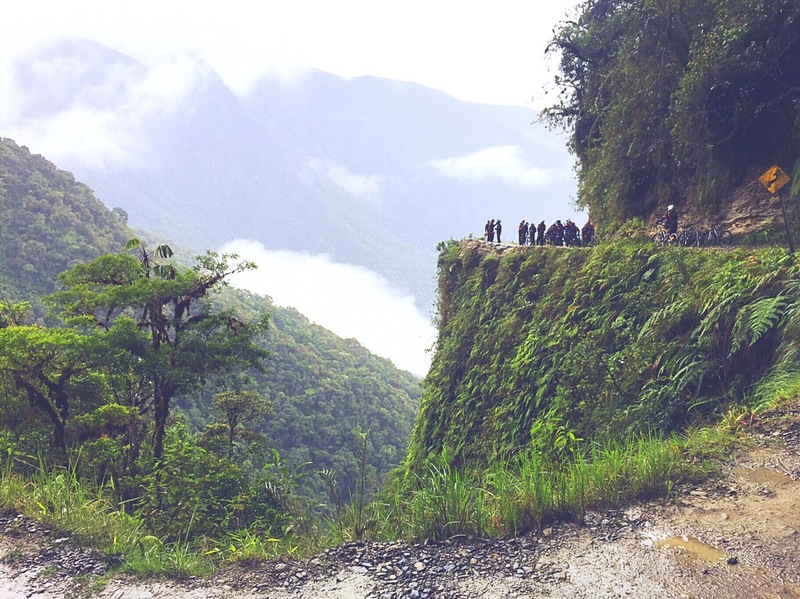 Cycling Death Road is one of the most well know things to do in La Paz Bolivia. 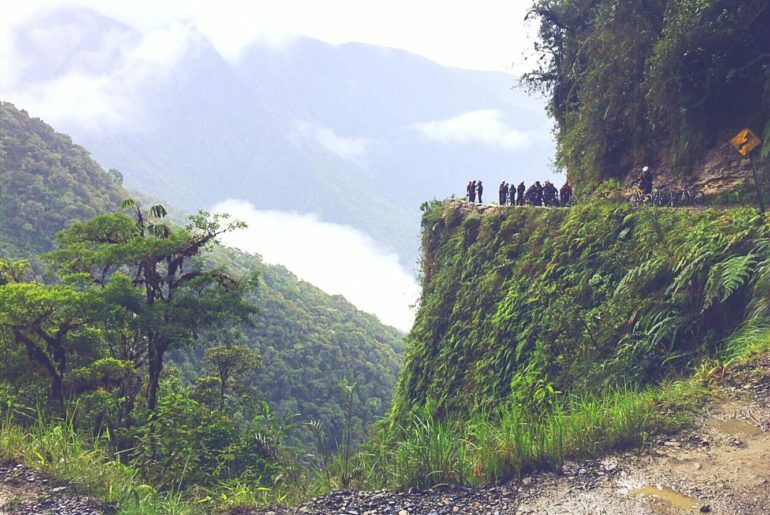 ‘El Camino de la Muerte’ in Spanish, was one of the most dangerous roads in the world at one time. With the sheer drop and extremely two-lane road leading to 300 deaths a year. Now it’s no longer really used for cars, but you can take a cycling tour from the top to the bottom for about $50 USD. You’ll be picked up at 7am and returned to your hostel around 6pm so it’s a big day. 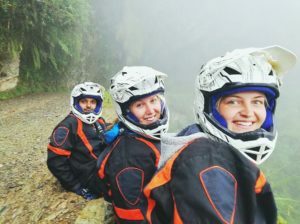 Check out my article What to Expect Cycling The Death Road for more in-depth details. QUICK FACTS: COST: $50 USD+ | TIME NEEDED: A full day | GETTING THERE: You’ll be picked up from your hostel/hotel. The Writers Coffee is the first gourmet cafe in the city. And a visit here should definitely be on your list of La Paz Bolivia things to do. It was converted from an old library, so is as cute and quaint as you might expect. Not only do they serve up a great coffee, with a host of options from cold press to ristretto. They also have the BEST wifi in town. 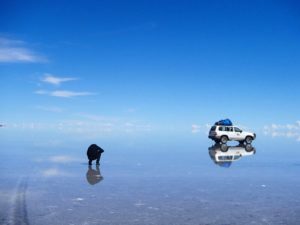 And if you’ve spent any time in Bolivia you know decent wifi is very hard to come by. QUICK FACTS: COST: $3 USD+ | TIME NEEDED: As long as you like | GETTING THERE: Head right out of The Wild Rover Backpackers La Paz. Walk one block and you’ll see the cafe on the corner. This colourful, cobble-stoned street is home to a bunch of museums, shops, bars and restaurants. And is a cute little spot to stroll around grab a coffee and some photos for the gram. You definitely need to add this to your list of what to do in La Paz Bolivia. QUICK FACTS: COST: Free | TIME NEEDED: As long as you like | GETTING THERE: It’s located right near Plaza Murilo, so head there and Maps.Me it. The Witches Markets are full of weird and wonderful finds and is one of the quirkiest things to do in La Paz Bolivia. Bolivia has a strong belief in witchcraft and ancient forms of magic. The stalls, owned by local cholitas are choc full of dehydrated baby alpacas for ceremonial use, bones, spices. Basically, anything you might need to cast a spell. They also are said to sell a very powerful love potion. So if you’re in the mood to get lucky maybe this should be your first stop. QUICK FACTS: COST: Free. | TIME NEEDED: As long as you like. | GETTING THERE: It’s located on Calle Jiminez and Linares between Sagarnaga and Santa Cruz. All over the 7 Awesome Things To Do In La Paz Bolivia? check these out!